Corneal Implants are also called as corneal inlays that are the optical devices inserted into cornea to improve vision. The main purpose of optical devices is to improve the near vision and reducing need for reading spectacles in adults with presbyopia. Corneal implants are one of the options for the rectification of declined near vision in people with presbyopia who desires to have spectacle-independent superior vision for all distances. Corneal implantable devices have also been used for correction of hyperopia, myopia, and astigmatism. As per to the Eye Bank Association of America (EBAA), the number of endothelial keratoplasty cases in the U.S. was over 23,000 in 2012 and corneal surgery was the most adopted choice to avoid blindness and restore the damaged eye. According to EBAA, presbyopia affects nearly over 80-90% population over the age of 40 years worldwide. 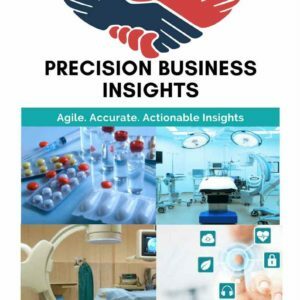 Global corneal implants market continues to witness positive growth owing to increased cataract development over the age of 65, increasing life expectancy, and rising geriatric population would expect to fuel demand ocular implants over a period of forecast. An increase in the number of keratoplasty cases and corneal surgeries will boost market growth over the forecast period. 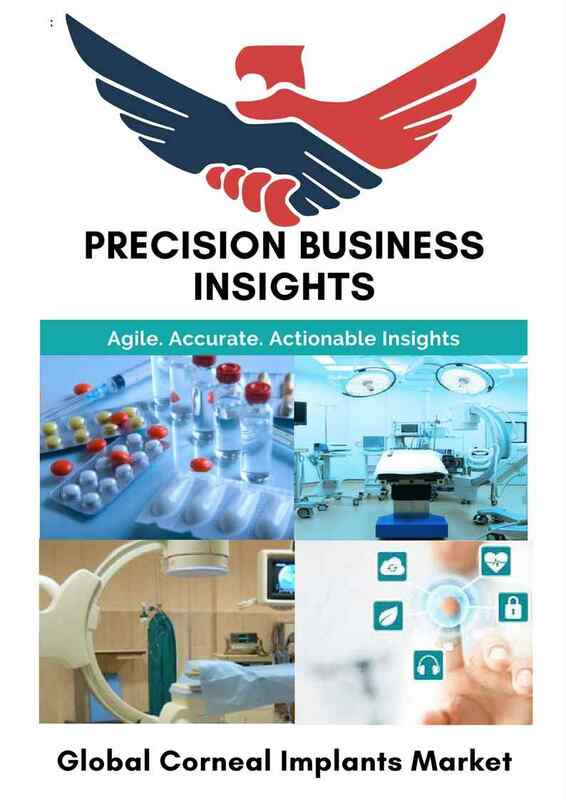 The market for ocular implants driven by technological advances in implants like multifocal intraocular lens technology and rising awareness about aesthetics among young patient population expected to fuel the market for ocular implants over a period of forecast. However, potential side effects or damage associated with the use of ocular implants to the eye, the dearth of a skilled workforce to perform the implantation procedures may hamper the growth of the ocular implants market over a period of forecast. The market for corneal implantable devices has been segmented on the basis of the type of implant, end-user, and geography. Global corneal implants market is highly fragmented with several local and international players offering different implantable products in the marketplace. Players or service providers in the ocular implants market are coming up with a customized solution that addresses the patient requirements. 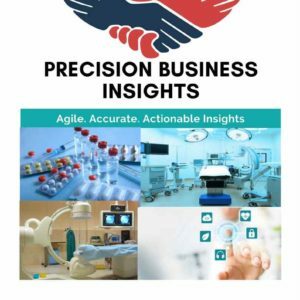 Players in ocular implants market are developing newer designs which are influenced by viscoelastic technology and others to gain larger market revenue share in the ocular implants market. Moreover, end users (Service providers) in the market continuously working towards educating the patients regarding implantation surgeries and post-surgery precautions. The ophthalmic clinic’s segment is anticipated to witness high revenue share owing to a larger proportion of inpatient corneal implant procedures in these clinics and thus a greater demand for corneal implantable devices from this segment. Corneal implants market is estimated to witness considerable growth prospects from 2017 to 2023 corneal implants have been developed as a treatment option for corneal ectasia. Geographically, corneal implants market is segmented as five regions, North America, Latin America, Asia Pacific, Europe and The Middle East & Africa. North America and Europe are expected to be as the dominating markets in corneal implants market, owing to awareness about corneal implants and rise in adoption of the patient for the technique. U.S.A corneal implants market is boosting the regional industry owing to the high prevalence of the ophthalmic and ocular conditions and early diagnosis of the eye disorders. The availability of advanced products, such as Raindrop Near Vision Inlay, used to correct near vision in patients with presbyopia will bolster the corneal implants market in the country. As per the EU National Statistics, it is estimated as that there were over 209 Mn Europeans suffering from presbyopia and it is projected as that nearly half of the Europeans population will suffer from presbyopia by 2030 which may propel the Corneal Implants market during the forecast period. Spain market for corneal implants will expect lucrative growth over the forecast period. The growth is attributed due to consumers are willing to spend for eye care in the country. Asia-Pacific represents a vast population with an unmet need in the domain of ocular aging treatment. In Japan, it has been observed that youth in their 20’s and 30’s are witnessing presbyopia-like symptoms due to overuse of devices and technology such as smartphones. These demographic and lifestyle changes coupled with the highest number of aging population is anticipated to bolster the corneal implants market in Asia-Pacific during the forecast period. Companies operating in the corneal implants market are ReVision Optics (U.S.), AcuFocus, Inc. (U.S.), Presbia PLC (U.S.), KERAMED, INC. (U.S.), PowerVision, Inc. (U.S.), Ocular Systems (U.S.), Cornea Bioscience(Singapore), DIOPTEX (Austria).